The volume of Finland’s real estate trade remained at a low level in the first half of 2013. However, new real estate funds specialised in residential and care properties actively added to their portfolios. The markets picked up towards the end of the year and the volume of real estate trade grew significantly as a result of several commercial real estate transactions. In 2013 the total volume of real estate transactions in Finland was approximately EUR 2.4 billion. International investors’ interest towards Finnish real estate increased: foreign real estate investments accounted for 30 per cent of all real estate transactions during the year. 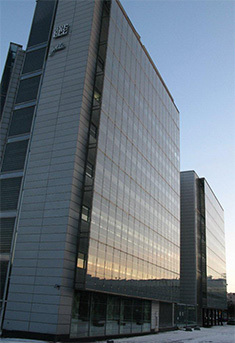 Varma’s new real estate investments stood at EUR 84 million. Varma had a total of 230 new rental flats under construction in the Helsinki area. In terms of investments in business premises, Varma shifted its focus from new investments and new construction to developing and to maintenance construction and renovations. In 2013, Varma divested 25 real estate properties. 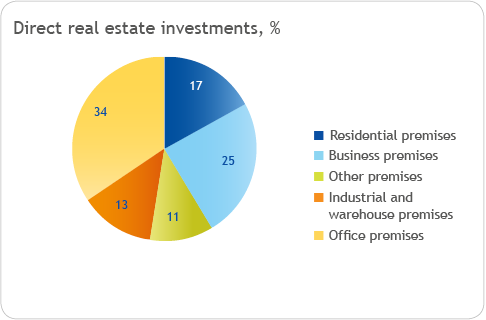 The total return on real estate investments was 3.1 (4.5) per cent. The uncertainty of the Finnish economy has influenced the lease markets of business premises in recent years. Especially the vacancy rate of office premises in the Helsinki metropolitan area is at a high level, but vacancy rates have been on the rise in other areas and types of properties too. Despite the challenging market situation, the occupancy rate of real estate properties owned by Varma remained at a good level in 2013. At year-end, the vacancy rate of the real estate owned directly by Varma was as low as 5.3 per cent. In 2013, the impact of fair valuation of real estate under Varma’s direct ownership totalled EUR -131 million. The market value of the real estate owned directly by Varma stood at EUR 3.7 billion at the end of the year. The return on capital employed in direct real estate investments was 2.0 (4.6) per cent. The value of and total return on the portfolio were influenced by fair valuations and the divestment of properties. During 2013, Varma actively started to increase its indirect and international real estate investments. At year-end, the value of international and Finnish real estate fund investments amounted to EUR 565 million and the return was 11.6 (3.1) per cent. Varma has been focussing strongly on reducing the energy consumption of its business premises. The goal is to reduce energy consumption by 6 per cent by 2016. The measures used focus on controlling lighting, ventilation and heating, among other things. In 2011–2013, more than 370 individual energy saving measures have been implemented in around 70 properties owned by Varma, generating annual savings of approximately EUR 500,000. This is equal to the annual energy consumption of 470 detached houses heated with electricity. Simultaneously the carbon footprint of Varma-owned properties has been reduced by 1,800 tonnes of carbon dioxide. Sitra is looking to improve its use of space by moving to new premises in Helsinki, owned by Varma. Read more about our real estate investments and available business premises.